View from Rte 41, North Plain Road. 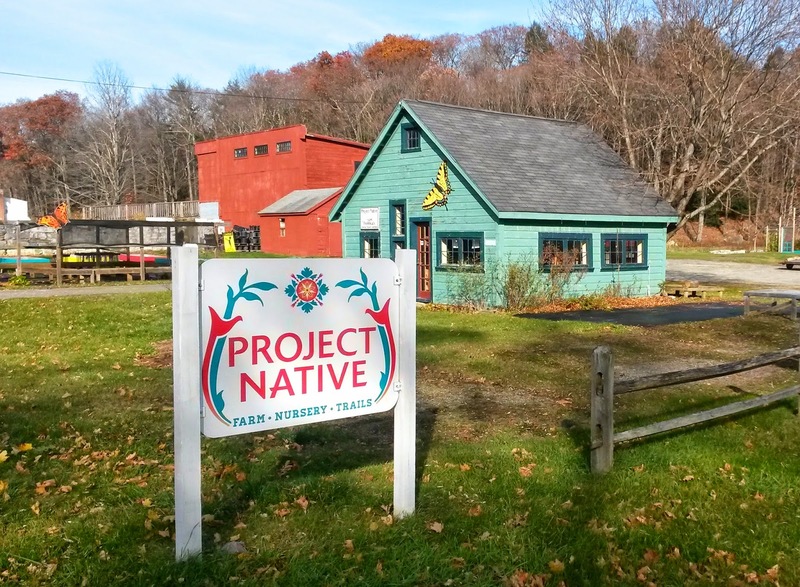 Last week, we walked the trails at Project Native, a 54-acre non-profit native plant nursery and wildlife sanctuary founded in 2000. The trails take you through fields and woods; beside wildflowers and an area for white oak regeneration. Although the nursery and shop are closed for the season, the trails are open every day, dawn to dusk. Dogs are not allowed because it is a certified wildlife habitat. I love the trails. They are wide and mostly flat, easy walking and lots of variety, also some wonderful handmade wooden benches and a picnic table along the way. What a wonderful place to take kids, especially when the butterfly house is open! A snowshoe walk would be fun here. And, I will definitely be back in the spring and summer. What a wonderful place to sit and contemplate (in warmer weather)! A view toward the 22-acre field which is filled with wildflowers most of the season. 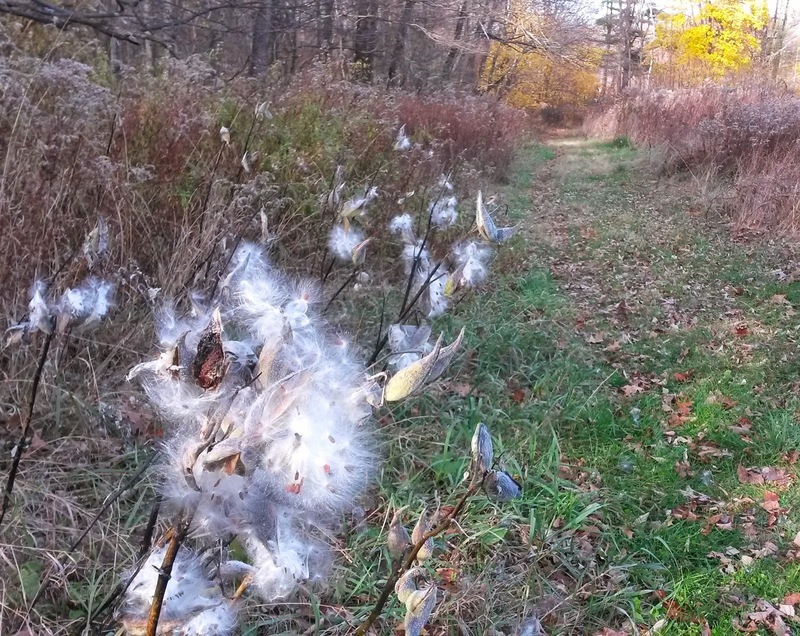 Lots of milkweed, critical monarch habitat, in the fields and along the paths.